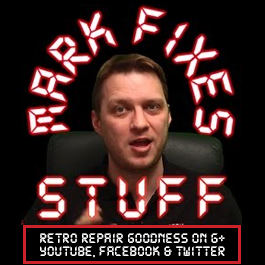 Join me as we look at a Sinclair Spectrum +3 belonging to Dean Swain at Retro Asylum. The drive is not working and even with an RGB SCART cable it is not displaying correctly on his TV. We are going to fix the SCART issue, repair the drive and also implement the audio fixes to cure the terrible clipped sound that plagues this model in it’s factory condition.